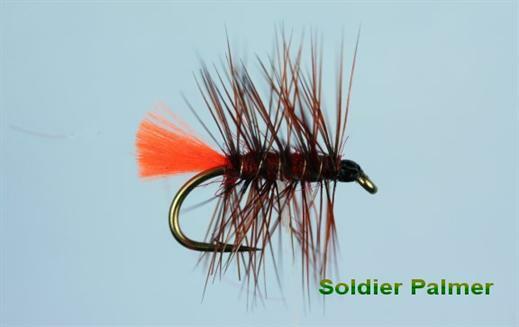 Centuries pass and the Soldier Palmer still proves to be an excellent still water pattern, it is best used as a top dropper, but is also very effective as a bob fly. This fly dates back to when the Britsh Army were Known as 'Redcoats' and it is reputed that it was named after them. Currently there are no comments about the Mandy's Soldier Palmer fly pattern from other fly fishermen yet.